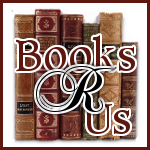 Ginger High- Books R Us: REVIEW AND GIVEAWAY OF 2:32 AM BY EMILY FORD. REVIEW AND GIVEAWAY OF 2:32 AM BY EMILY FORD. At first, I did not know what to expect when I started reading the book. At first I found it slow moving but the action picked up halfway through the book. The main character Cat has vivid visions that occur numerous times throughout the book that slowly reveals her destiny. She is introduced to Genies and magic in a way that is confusing and intriguing. She is a typical teenager faced with difficult situations that makes her stronger. She is in love with Todd and eventually finds her soul mate Rolf. This is a great supernatural-romance novel that will leave you guessing and engaged.